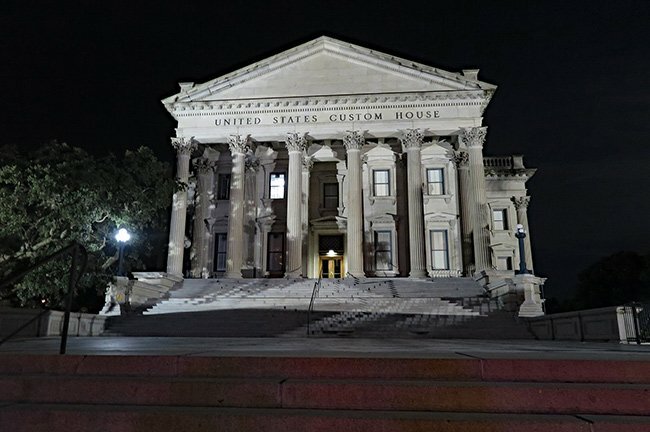 Located in historic downtown Charleston, the United States Custom House was completed in 1879 and is one of only several historical custom buildings that continues to serve its original purpose. 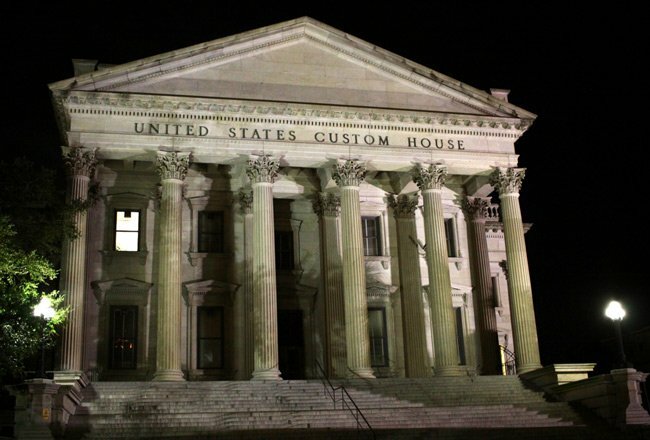 Historically, a custom house was a building that served as a port of entry into a country, where government officials regulated commerce and collected shipping taxes. 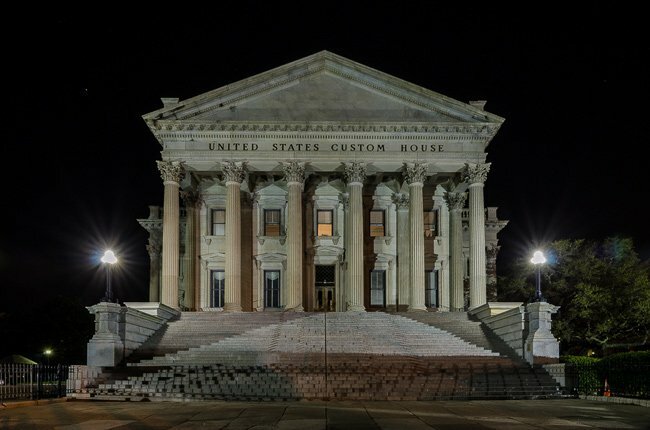 By the mid-1800s, Charleston had become one of the busiest port cities in the country and the US Custom Service had outgrown its headquarters in The Old Exchange Building. In 1849, Congress purchased the waterfront site on East Bay Street to construct a new headquarters. The following year several architects were invited to compete for the commission to design the building. 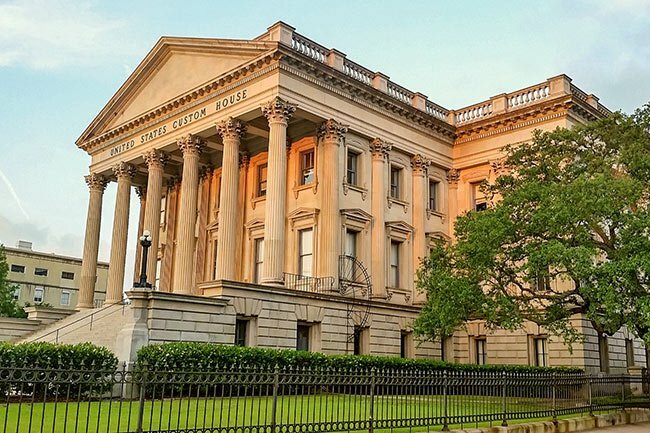 Although Charleston architect Edward C. Jones was initially declared the winner, federal authorities ultimately awarded the project to Ammi Burnham Young, supervising architect of the United States Treasury Department. Young was selected to produce a new design based on the previous entries of Jones and fellow Charleston architect E.B. White, who also designed the Trinity Episcopal Cathedral in Columbia and the French Huguenot Church in Charleston, among other notable buildings. 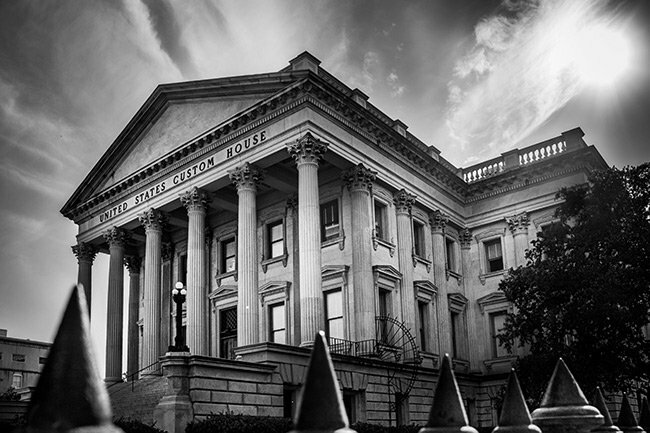 Construction began in 1853, but was interrupted in 1859 due to increasing costs and the possibility of South Carolina‘s secession from the Union. The building sustained considerable damage during the Civil War and wasn’t repaired until construction resumed in 1870. The new United States Custom House was completed nine years later. Both architecturally and historically, the United States Custom House is an outstanding public building. 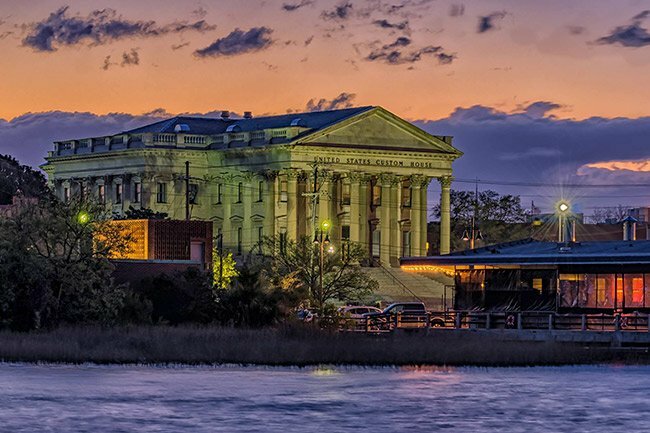 Its continual use as a custom house completes the commercial history of one of the country’s busiest early ports. Construction began in 1853, with Charleston architect E.B. White serving as superintendent architect, but the building was not completed until 1879. The Roman Corinthian order was carried throughout the structure, not only in the pedimented porticos on the east and west fronts, but also the columns decorating the piers between the windows. The plan is a simple cross with one short and one long axis. Originally there was to have been a rotunda with a dome and skylight at the intersection of the cross arm, but apparently this was eliminated as construction of the building was prolonged and became costlier. The basement story is rusticated while the upper wall surfaces are smooth marble. Windows on both floors are rectangular and pedimented, as are the centrally located entrances on each portico. Surmounting the building is an entablature with a molded architrave, a wide unadorned frieze, excepting the “United States Custom House” carved into the west front in 1964, and a dentiled cornice. Above this is an open balustrade, behind which a low pitched roof is barely visible. Very nice pictures! We can be very proud of our city and its artist!